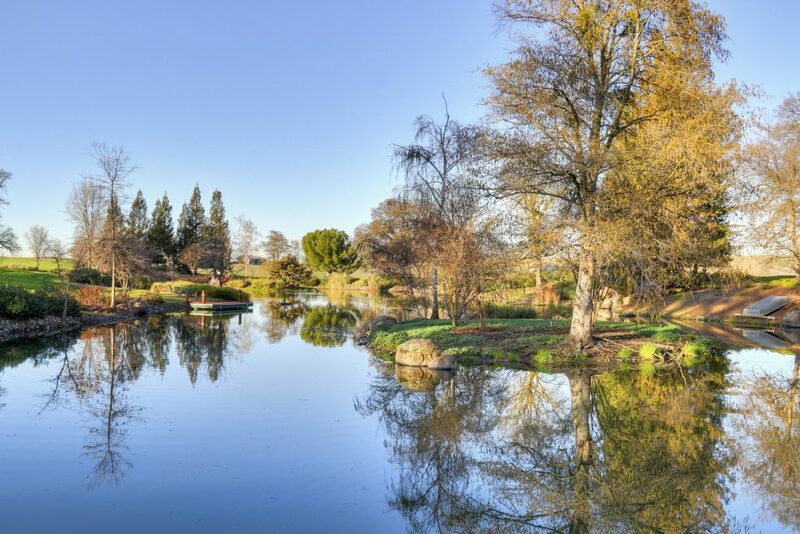 This is a very special place where everyone that visits says 8109 Sloughhouse Rd is a stunning place in Elk Grove. Its history is a real-life love story. This lake is a symbol of that love. This short story below was told to me by someone who was there and knew these people well but I have not verified it. 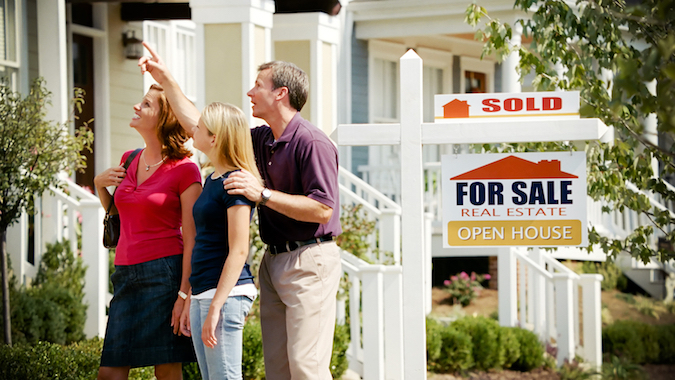 What Does it Cost Sellers to Close Escrow in Sacramento? Before listing, most people want to know how much it will cost sellers to close escrow. That’s a pretty loaded question because the largest expense is not always the commission. The way it works is you generally get what you pay for. If you want a top producer to focus on your home and maximize the profit potential, you will pay more in a commission, but you net more than the difference paid. For example, when top producers like myself charge 6%, we also pay attention to ways to reduce closing costs. On top of trying to attract multiple offers to increase the price. If we weren’t worth it, sellers would not pay it. They see the value. I show it to them. So, actually the commission is not the biggest expense. The biggest expense is hiring a cheap agent who doesn’t know what he or she is doing. Or falling victim to the home inspections’ scam of a bloated request for repair. This is when the buyer bids over list price and then tries to grind down the seller after inspections reveal, guess what? That the house is like every other house of its vintage and has a few defects. Inexperienced agents can’t really explain repairs to buyers, and inexperienced listing agents are no better. Many just tell the seller to pay the buyer’s demands. That’s the extent of their so-called service, but that’s also why those listing agents don’t make the big bucks. Not like this elite club of top producers who get paid more because they are worth it. Otherwise, to figure out how much it will cost sellers to close escrow in Sacramento, a seller would also need to add back all the money the seller didn’t lose after inspections. In addition to adding the higher list price because we grabbed a buyer from the Bay Area. Those sorts of specialities performed by top producers. But an easier way to compute how much it may cost sellers to close escrow is to take the sales price times 7% and deduct that number. Then deduct the unpaid balance of your mortgage. 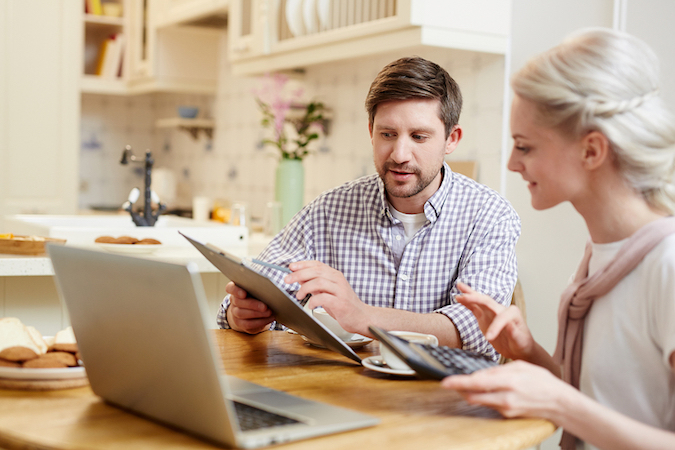 What’s left is your net profit, assuming you have hired a top producer to list your home. If you haven’t, you can probably deduct another 5% to 10% for inexperience. If you have hired a top listing agent, then your net profit is 93% of the sales price, less your existing mortgage balance. My wacky way produces a result within $500 or so with this off-the-cuff method. Of course, the sellers I work with get an estimated closing statement upon demand. But if you wanted to figure this on the fly, that’s how you do it. If sellers prefer a breakdown of itemized deductions, as a former escrow officer, I can certainly explain each item. It reminds me of selling real estate in the 1970s. Yes, I am that old. I started in real estate when I was five, LOL. With seller financing — and I was a huge proponent of seller financing / creative financing back then — I often sold homes for a mere 7% down. Because that amount covered the seller’s closing costs and commission. Sellers carried owner financing for the balance. I can even see those days coming back. Some of my clients know first-hand that I might pay a bit more attention to my listings in Sacramento when I am in Hawaii. That might sound counter-productive to some of you who would do the complete opposite if given a chance. But going to our house in Hawaii is like arriving at my source of personal power. I dive right into the Aloha. It’s not like I must go to the ocean to swim or drive the coastline. Because I’m perfectly content on my lanai, working on my computer against a panoramic backdrop of the ocean off in the distance. Especially when I am the only person at the house. I don’t even have a cat or a neighborhood cat to distract me, although I won’t discount the geckos, lizards and occasional mongoose. It’s a quiet environment that lets me focus on my listings, alone in the warm Kona breezes blowing across the lanai. No wonder I am so at peace and happy in Hawaii. Of course, all I have to do to attract more listings in Sacramento is to print out that boarding pass. Like magic. Bam. The phone starts to ring. I managed to squeeze in one last listing appointment yesterday before I left. When you read this, I will be 30,000 feet in the air, enjoying breakfast over the Pacific. Two and a half movies later, I’m in Honolulu changing planes to Big Island. I also just picked up another listing in Sacramento yesterday when a buyer flaked out. We had to put the home back on the market, but we’ve also got a group of interested buyers who did not act fast enough. The buyer’s agent said the buyer decided after going into escrow that he cannot afford to buy a home, or his loan was too much, hard to say. Cold feet. So many buyers develop cold feet, it seems. It’s entirely possible that before I come back home to Sacramento that I’ll take more listings in Sacramento. With technology — internet and cell — that’s all I need to sell homes in Sacramento. 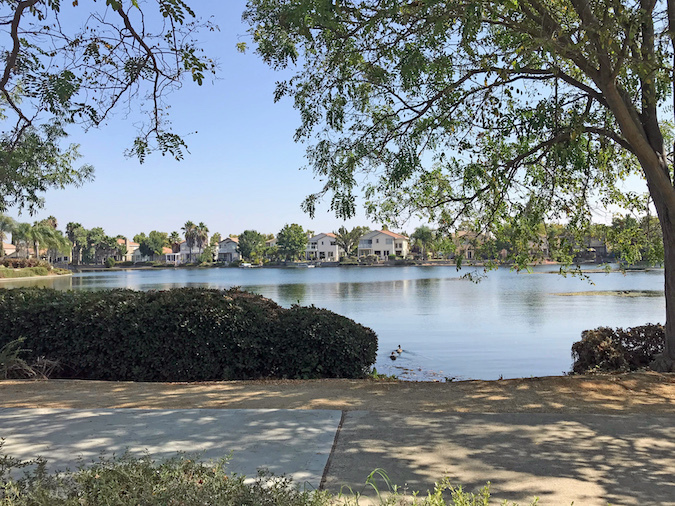 The new listing on this page is a view from the street in Laguna West, which is in Elk Grove, a suburb of Sacramento. I love to sell homes in this neighborhood; it’s one of my favorites. These sellers have a list of things to do before going on the market, but they could be ready in a couple of weeks. This will probably be priced in the lower to mid-700s, if you’re interested. You can call me at 916.233.6759, but please note the time difference in Hawaii is 3 hours earlier than Sacramento. Mahalo! Are you looking for an a single-level home in Laguna Park priced under $350K? Then you’ve come to the right place. And you don’t have to make trade-offs or sacrifice anything on your home buying wish list. You can have it all in this popular Elk Grove neighborhood. 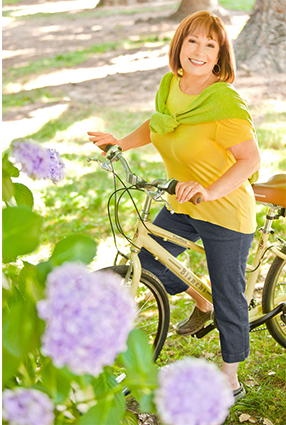 Pride of ownership is evident throughout the neighborhood, and many homes are single-levels. No stairs, no levels, no step-downs, makes it easy on your knees, too. 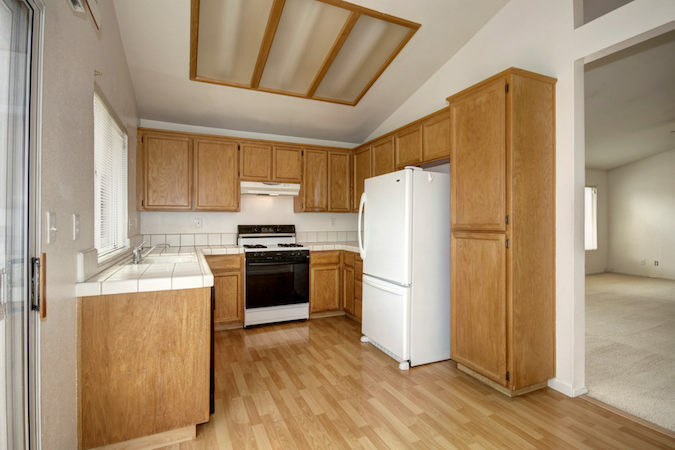 This home in Laguna Park features 3 bedrooms and 2 baths. There is a front bedroom that could be used an office since it’s right next to the front door. The guest bath separates the two guest bedrooms. However, the master suite is secluded and away from the other two bedrooms. Which is especially nice if you have children, you can get a little peace in quiet in your master retreat. When you walk in the front door, the first thing you will notice is how large the living room and dining room appear to be. 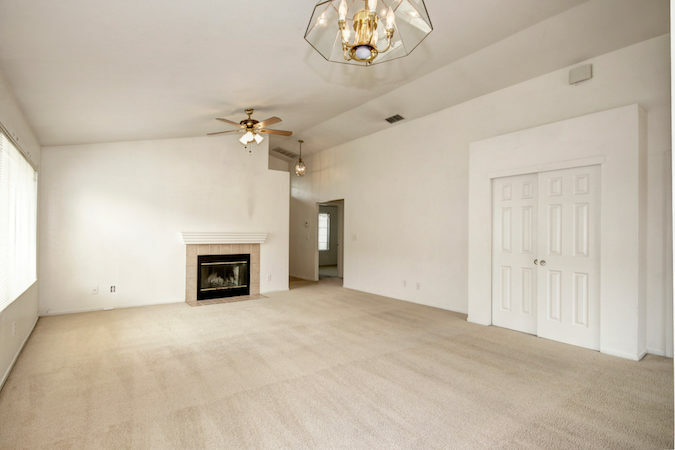 A lovely fireplace with a ceramic surround is in the living room, and the vaulted ceiling makes the entertainment areas seem even larger. Look at all of that light in this space. Lots of windows. Check out this great kitchen! Plenty of cabinets and there is space for a breakfast table. The refrigerator can stay as long as you ask for it in the purchase contract as personal appliances do not stay otherwise. If MLS says the refrigerator stays but buyers do not ask for it in the Residential Purchase Agreement, the seller is free to sell it on CraigsList. 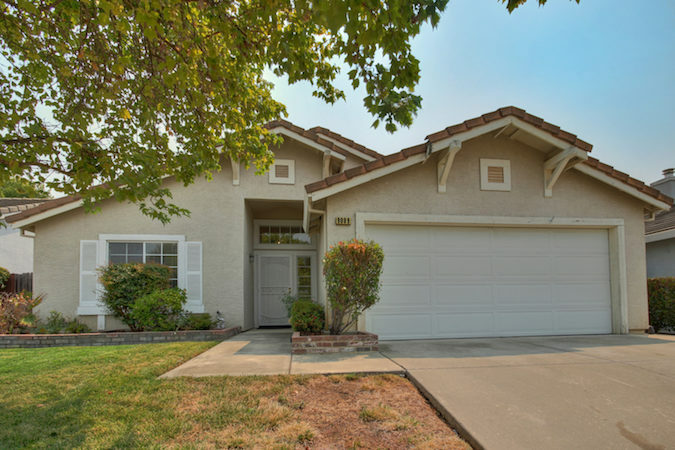 9089 Paseo Grande Way, Elk Grove, CA 95758 is offered exclusively by Elizabeth Weintraub and Lyon Real Estate at $340K. Check out the virtual tour here. Then come to our Open House on Sunday, August 12, from 2:00 to 4:00 PM, hosted by Josh Amolsch from the Elizabeth Weintraub Team. If you’d like to enjoy a private tour before then, please call Josh for an appointment at 916.224.2756. The information in this advertisement, including, but not limited to, square footage and/or acreage, has been provided by various sources which may include the Seller, the Multiple Listing Service or other sources. Lyon Real Estate has not and will not investigate or verify the accuracy of this information. Prospective buyers are advised to conduct their own investigation of the Property and this advertised information utilizing appropriate professionals before purchasing this Property.